A dream of an enchanting and exciting adventure is located at Sitio Silop, Barangay Gamuton, 5 kilometers away from the Poblacion proper, the Campamento Cave. This cave is full of exciting, mysterious and bewildering array of stalactites and stalagmites. It is a home of various wild lives like bats, snakes and the famous swiblets bird locally known as “sajaw” whose nests are used for soup and fertilizer. Stalactite pillars, rock formations and arched ground are outstanding features of the park. 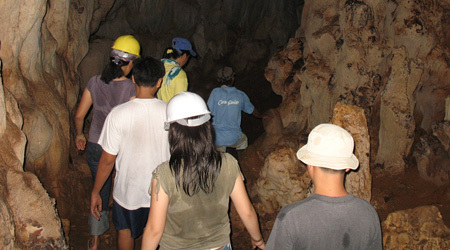 Camp “mento” (Camp Bell), the original version of the cave’s name, was formerly a Japanese refuge during the Japanese-American war in 1942. Located in Sitio Cagmino, Barangay Sibahay, 9 kilometers away from the town proper, this 111 hectare Marine Protected Area has been made as a habitat to different aquatic species. Along that guard house is the famous Sanctuary Café which stores hot and cold concoctions and native food of the town. One can enjoy his or her stay at this community-based project which exudes fresh air and verdant canopies that complement its tranquil environment. 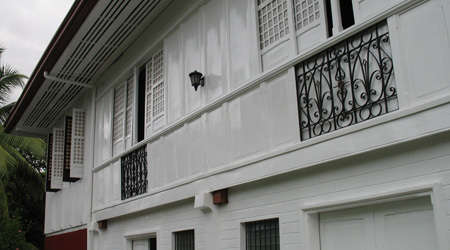 Herrera’s ancestral house is awe-inspiring and magnificent in its grandeur. Built on May 28, 1898 for business purposes, this 115 – year old “White House”, situated at the heart of the town just a block away from the Prospero B. Pichay Sr. Boulevard, now showcases varied antiques and relics, and serves as a museum of the municipality.  This is currently managed by the heirs of the late Don Gabriel Uriarte Herrera, the first mayor of Cantilan, who owned this historical house. 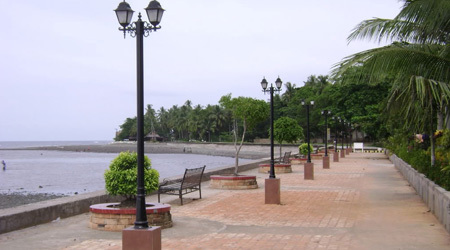 Ideal for quite moment alone or non-hassled conversations with the family and friends, a half kilometer brick tiled boulevard, constructed along the sea wall, features picturesque views where one can observe the overwhelming afternoon sunset and witness neophyte and professional surfers enjoying a free ride with the waves. It overlooks the purely sand-bottom Doot Poktoy surf spot facing the Pacific Ocean. 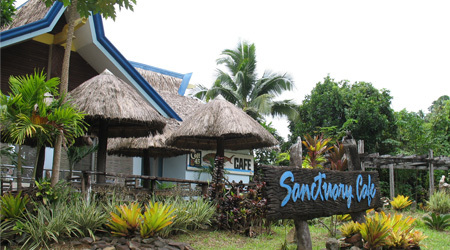 Within the town proper, specifically located at Doot Poktoy, and also in Punta and Sitio Badiang, the Lanuza surfing grounds definitely possess world class waves comparable to that of Cloud 9 in Siargao. These beach and reef breaks become famous among tourists particularly surfers for its eye-catching and roaring waves, a must see spot for all surfers both local and foreign who are enjoined to compete in the Lanuza Surfing Festival held during the highest eve of tide usually in the third week of November.